A few months back some chickens appeared next door. I love chickens and had high hopes that, given time, they might start to wander into our garden... and they have. 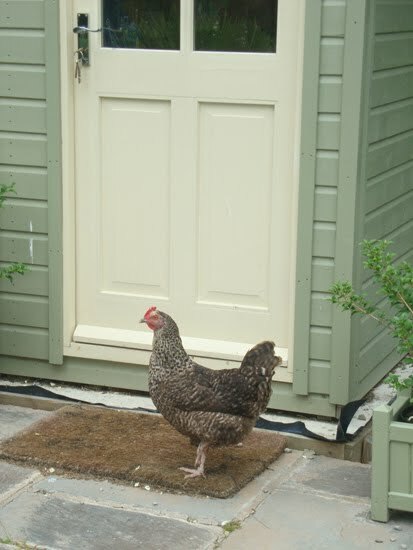 One chicken in particular is very brave and has made herself right at home. 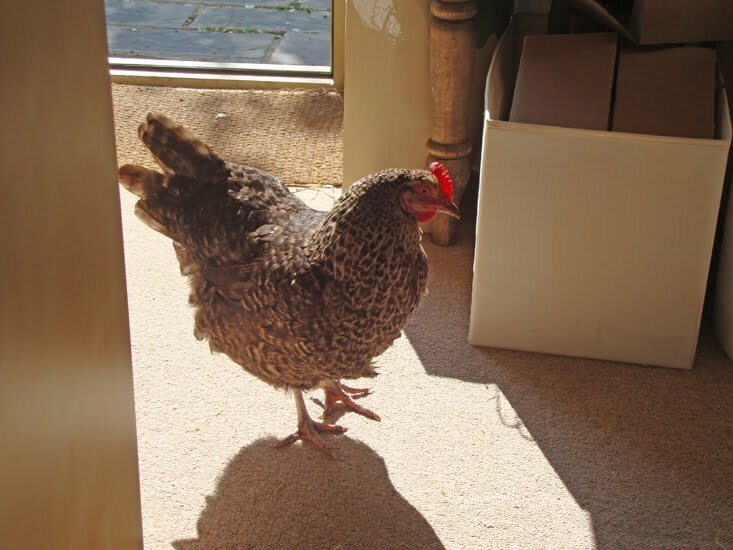 Sometimes she even comes in and sunbathes on the carpet. I am hoping that given time she might become yet another useful member of the Cottontails team. Perhaps she could start by writing a review of our handmade wooden hen house and little felt hens? But in the meantime she seems content just to dig holes everywhere. 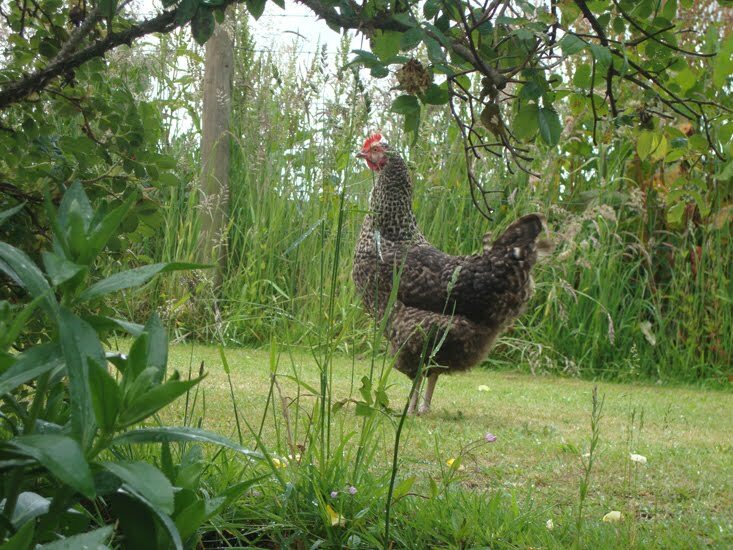 Particularly in the Cottontails Kitchen Garden. Hmmm. 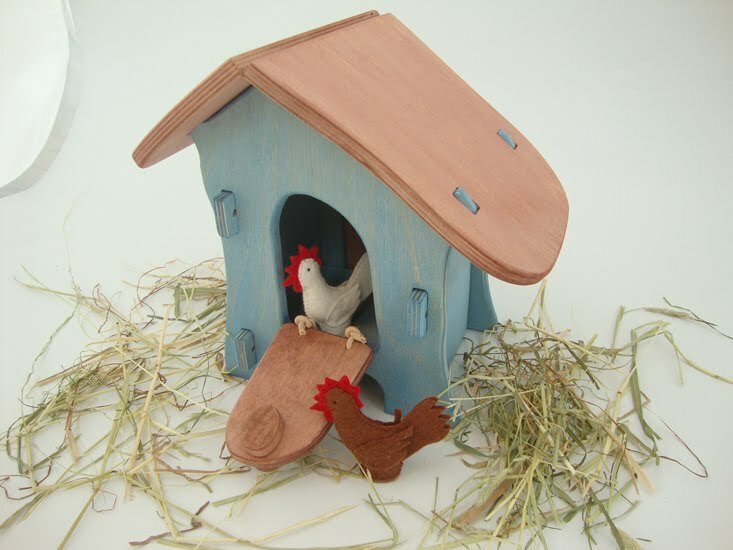 Naughty hen. Charlotte! That pic of the hen sunbathing is amazing! So funny! Great post as always! I know - she stretches out her wings to catch the sun, or so it seems :) And at least when she is doing that she isn't destroying the garden! I love seeing the hens sunbathing in the garden, although to a lot of folk it can appear as if they've died en-masse. They do enjoy the sunshine, watch out for your veggies though....they enjoy them too! 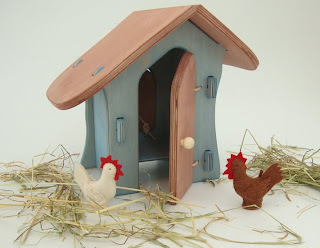 I would like to see that gorgeous Hen House life size for all the Hens nect door, wouldn't that be lovely? 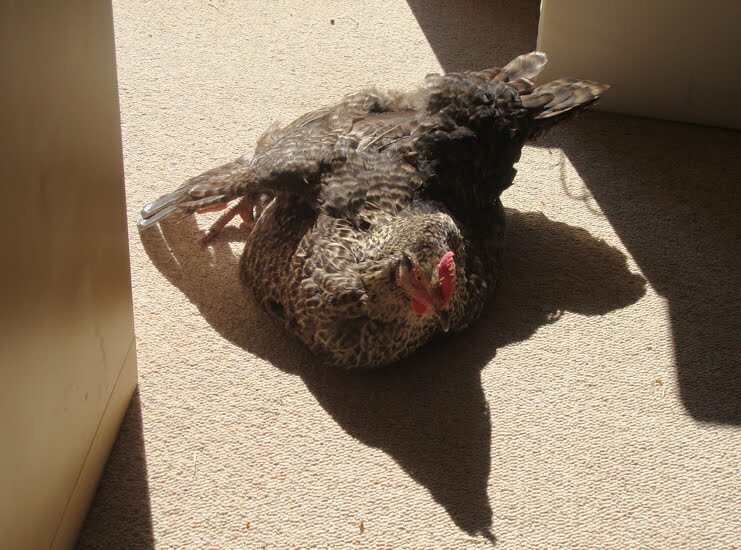 oh sunbathing hen, I love it! 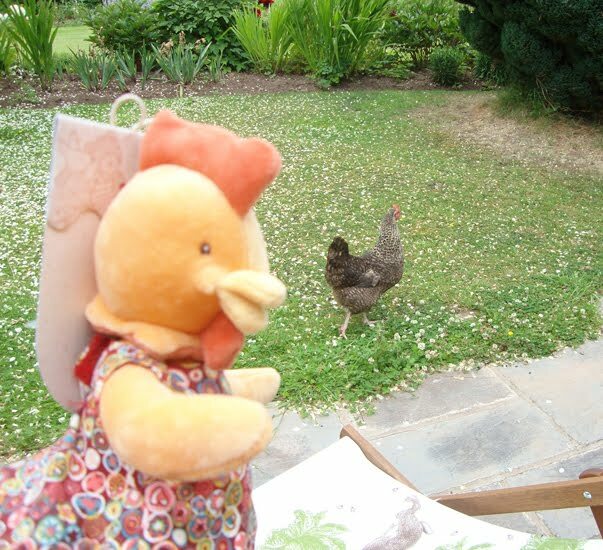 Well, she's the absolute spit of our chicken Mable!